Prop Armor Is Available At These Major Yachting Centers! Marine Mile Yachting Center of Fort Lauderdale, Florida uses Prop Armor exclusively and recommends the product highly to their clients. Prop Armor is pleased to announce International Finishes, Inc. as our new distributor for Costa Rica, Colombia, and Panama. Call 561.445.3512, or email mike.deacon@internationalfinishes.com for more information. 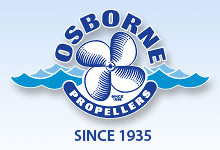 Prop Armor is pleased to announce Eco centre Boat care as our new distributor for Greece.